Safecoin is a 2-generation digital currency that is currently being used in the Maidsafe network. We need to first talk about this network since the idea behind it is truly innovative. Maidsafe is a platform that functions based on a series of protocols that rely on the voluntary contract between the users and the network itself. Safecoin is the currency that helps the network function properly and it represents a step forward towards the decentralization of the current monetary system. Safecoin is serving as a gateway to the Maidsafe platform and its distribution model is not actually new. There are some other cryptocurrencies out there, like Mastercoin and Nxt that are very similar. 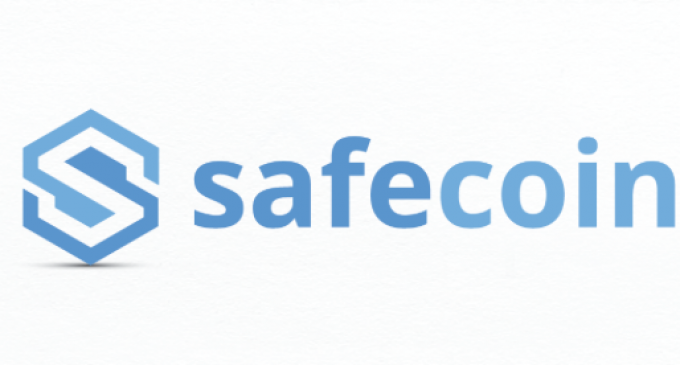 Safecoin is a cryptocurrency that is available since March 2016 and becomes one of the important blocks of the Maidsafe network. It is a digital currency that uses a proof of resource algorithm and has a predefined maximum supply. The Maidsafe network was built back in 2006 by a Scottish engineer, called David Irvine and since then it managed to develop, becoming one of the safest networks on the planet that relies on the unused hard drive space, processing power and data connections of the users that have joined the network. Currently, the Safe Network works like a decentralized database, with files distributed and stored all over the world, on different types of devices. The distributed nature of the system makes it almost impossible to hack and immune to any kind of attack. Safecoin comes with some particular specifications that have not been seen on previous cryptocurrencies until now. One of the most important features is the Proof-of-Resource algorithm. The Maidsafe network works thanks to the computational power that users which have joined the network are sharing. They share unused hard drive space, processing power and data connections and these resources make the network function properly. Each user that contributes to the functioning of the network is awarded in Safecoins. The digital coins are distributed entirely by the algorithms within the SAFE Network. Also, the coins can be recycled when users use them in exchange for network services, and in this way, there will always be a sufficient supply for users. Can you mine for Safecoin? How is Safecoin mined? The process that leads to the creation of Safecoin is not called mining, instead, it is called farming. The digital coins are given as a reward to users that provide resources for the function of the network. Users contribute to the following resources: hard drive space, CPU power, internet connection and online time. This process of providing resources and receiving Safecoin in exchange is called farming. The network constantly checks that the user contributes to the network with resources with the Proof-of-Resource algorithm. In terms of supply, a maximum of 4.3 billion coins can be created by the network, out of which 15% have been pre-mined. Where can I buy Safecoin? The safest place to buy cryptocurrency is an exchange broker. These are specialized companies that offer exchange services for a small fee. With them, you can exchange fiat money for the cryptocurrency, or vice versa. Also, you can change a certain cryptocurrency for another. On our website, you’ll find a list of exchange brokers, with reviews for each of them. You can find a lot of details about them and find out if they have support for the cryptocurrency that you are willing to buy. Speaking of Safecoin, unfortunately for you, it is not a cryptocurrency that can be exchanged on the most popular exchanges. The single exchange that we’ve found for Safecoin is the MasterXexchange website. Also, you need to understand that the market volume and services behind Safecoin are very poor at the present time. How can I sell my Safecoin? When it comes to selling cryptocurrencies, the best place to sell them is also an exchange broker. Whether you want to sell them for cash or you just need to exchange them for another cryptocurrency, by going to a certain exchange platform you can solve the problem. Now, you need to understand that now all exchange brokers have support for the same cryptocurrencies. You need to check their websites and reviews about them in order to find out about their services. In the case of Safecoin, there is no popular exchange broker that is currently offering support for it, so the places where you could sell them are very few. Which Safecoin wallet should I use? Since you are dealing with a cryptocurrency, you will definitely need to store your private keys in a cryptocurrency wallet. There are many types of wallets and all of them have support for different kind of cryptocurrencies. In terms of hardware wallets, we did not manage to find one that currently has support for Safecoin. However, on our website, we have a section dedicated to crypto wallets, where you will find reviews for some of the most popular wallet providers on the market. In terms of online wallets, one provider that currently supports Safecoin is omniwallet.org. Keep in mind that Safecoin is not a popular cryptocurrency and the daily volume and its usage are very poor at the present time. Various online brokerage companies have already included cryptocurrencies on their trading list and you can trade them without having a wallet of going to an exchange. You can now trade cryptocurrencies like forex and stocks, thanks to this implementation. We can a section dedicated to cryptocurrency brokers, where you will find reviews for a few brokers that have included cryptocurrencies on their instruments list. Unfortunately, there is not broker that currently has Safecoin included on their list.